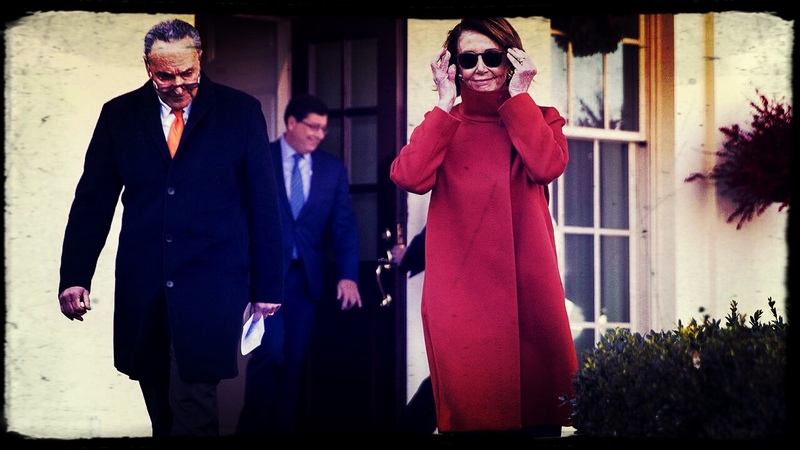 President Donald Trump just told House Speaker Nancy Pelosi to take a hike and close the door on her way out. While meeting with the president on Wednesday, democrats said they had no intention of changing their stance on funding the wall. Trump responded by showing them the door. According to both the President and Vice President Pence, Trump asked Pelosi if he was to reopen the government now if she would fund the wall within 30 days? When she responded with “no”, Trump kicked her out. Just left a meeting with Chuck and Nancy, a total waste of time. I asked what is going to happen in 30 days if I quickly open things up, are you going to approve Border Security which includes a Wall or Steel Barrier? Nancy said, NO. I said bye-bye, nothing else works! Trump chose to stand his ground for the security of the nation. The presidents tweets prompted some to remember that Mexico was supposed to pay for the wall. No where did the article mention a poll concerning the wall, i think we've all agreed border security is important to everyone, its the wall mexico was going to pay for thats the problem. While many Americans would cheer the president’s decision to kick Nancy out of the White House, it would seem more fitting to kick her out of the country to see the wall from the other side. Looking past all the talking heads, the government shutdown fiasco leaves just one question in the minds of hard working Americans. Why are taxes still being taken out of my check? !